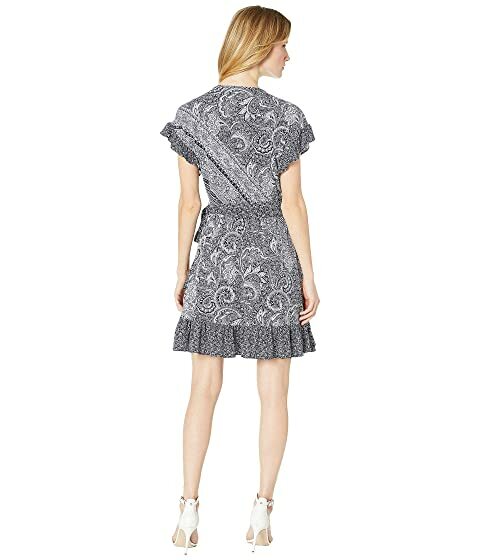 Hit the town in this MICHAEL Michael Kors® Paisley Mix Ruffle Wrap Dress. Mixed paisley print on a stretch-poly fabrication. 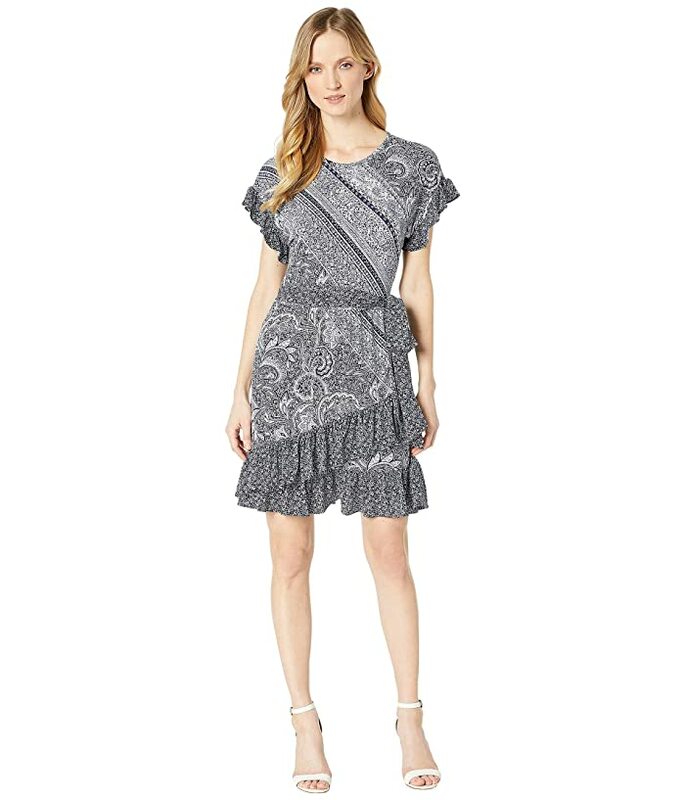 Ruffled detail at sleeves and wrap skirt. Belt-loops and self-ties at waist.